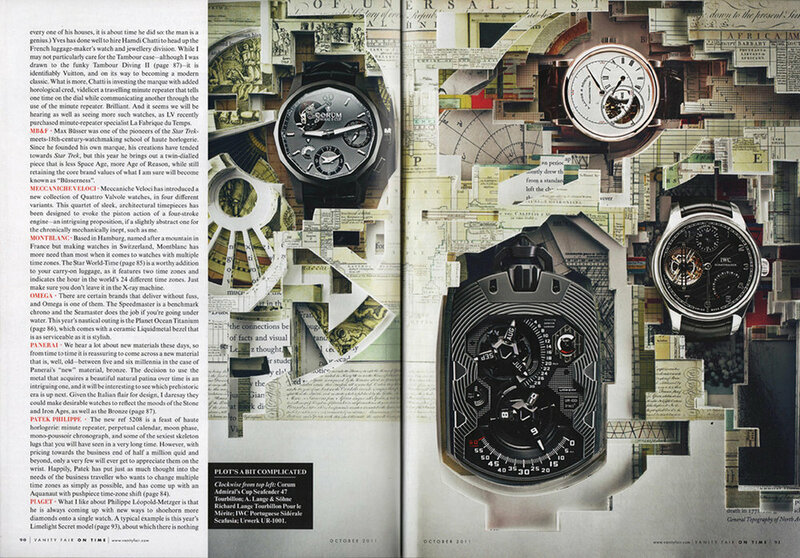 In 2011 Vanity Fair commissioned the production of six sculpted books to be used to display collections of watches for the ‘On-time’ supplement. I was given the design task to create compositions to represent the themes of 'Haute Joaillerie', 'Chronograph', 'World Time', 'Oceanic', 'Complications' and 'Square'. I had the great opportunity to work with Creative Director Karen Hibbert, photographer James Day, and set designer Brigit Hegarty to produce this editorial piece.